Danny loves his new computer game, Go Fox. With Danny at the controls, Go Fox can escape the dreaded Spook Tree, swim the raging river and even dodge the jaws of the Green Snappers. 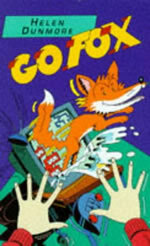 Can Danny keep Go Fox happy, and keep him a secret too - or will the adventure of the chase tempt Go Fox back into the world of the computer game?